Cloud storage – was it the right solution for your online business? Cloud. For the past few years one of the biggest trends in tech was moving all your data to cloud storage, but was it the right solution for your online business? Many organizations nowadays are working on developing a new software, a software meant to change things for the better, meant to improve something that is not working as it should, meant to make a difference on how things are done. ClusterCS – Take the First 3 Steps to Make Your Website Safer! One of the main topics of discussion between web developers, tech enthusiasts and site owners is security. If you own a server, a website or a small business, it’s up to you to protect your interests against any evildoers. How? Hello again. We want to thank everybody that sent us feedback so far, be it a bug report, suggestion or just a kind word. ClusterCS 101 for Business Owners – What Is a Server Cluster? 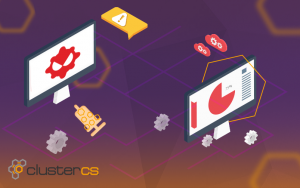 The team behind ClusterCS has years of experience in developing solutions for business owners, other web developers and, of course, sysadmins. One of the most frequently asked questions we encountered was the significance of our product’s name. Have you ever wanted to install a new website on a self-administered server but had no time to set it up or just didn’t have the skills or experience for it? What does ClusterCS offer? These past few days I had the opportunity to test ClusterCS and, full disclosure, I liked it a lot. Therefore I wanted to share, because sharing is caring and so on. You probably heard it before a million times: having an online business is much easier than a traditional one. With lower operation costs and more affordable marketing options, an online business can afford you a lot of creative control.